We recorded all the talks and they are available for viewing here. Many of the talks are by users in the community, such as Richard Kettelerij and Arno Broekhof, who spoke about the Dutch National Police adopting the cloud using Terraform, Consul, and Nomad. Several talks are by HashiCorp employees, going into more depth on advanced features and best practices, such as Alex Dadgar talking about engineering reliability by expecting failures. 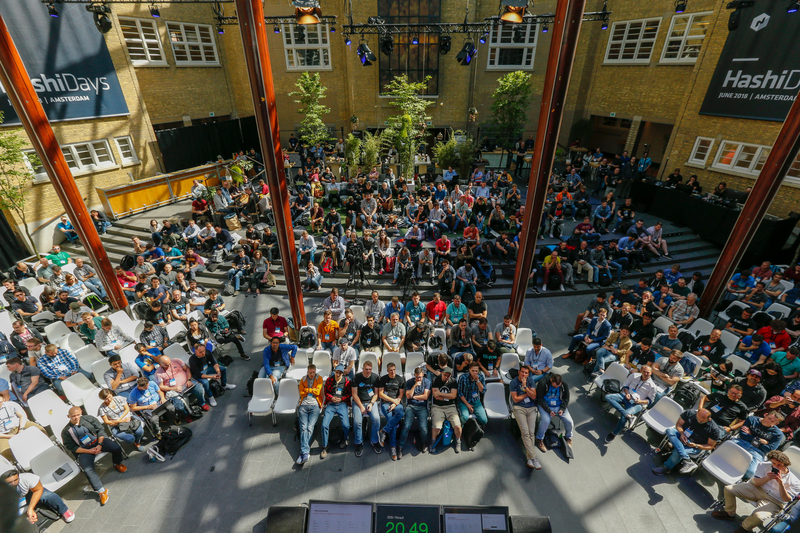 If you missed out on HashiDays Amsterdam in person, in October of this year we are hosting HashiConf, our largest-ever annual conference in San Francisco. HashiConf is a three-day, multi-track event and we are expecting over a thousand attendees, joining us to talk about the state of art in DevOps tooling and cloud infrastructure. Registration is open now, and we look forward to seeing the community there!